Charter Fishing and enjoy an experience you'll remember. 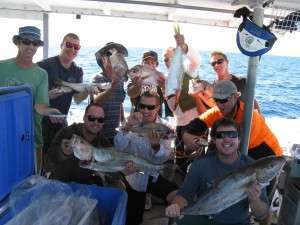 A exclusive charter aboard Nautic Boy is a great idea for corporate functions, birthdays, Christmas party’s or any time you want to get a group of friends together and enjoy fishing in the beautiful waters of the Sunshine Coast. You get exclusive use of the whole boat up to a maximum of 12 people and charters can be tailored to your requirements with flexible departure times and catering packages available on request at an additional charge. 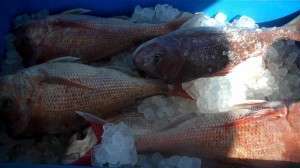 We can even help you set up a prize for catch of the day! 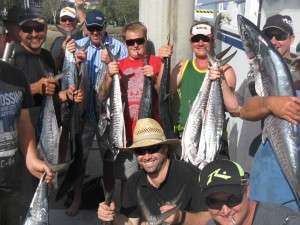 We depart early morning from the marina and travel out to either the Caloundra wide area or the Barwon Banks, this will depend on where the fish are biting and the weather conditions. We drop our crab gear on the way out and settle in for some serious fishing action. 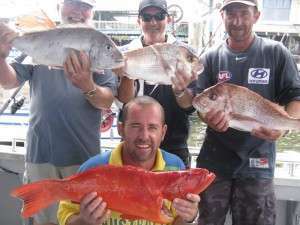 The maxi day is for the serious angler, those who live to fish. Departing as early as possible to get out before the sunrise, we then travel out to either the Caloundra wide area, the Barwon Banks or the hards depending on where the fish are biting and the weather conditions. We drop our crab gear on the way out and settle in for some line peeling action. 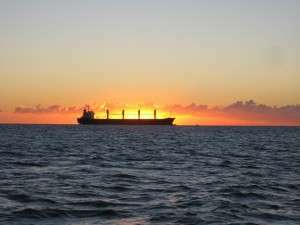 Thinking of scattering you loved ones ashes at sea, we can assist you to find a resting place for your loved one.